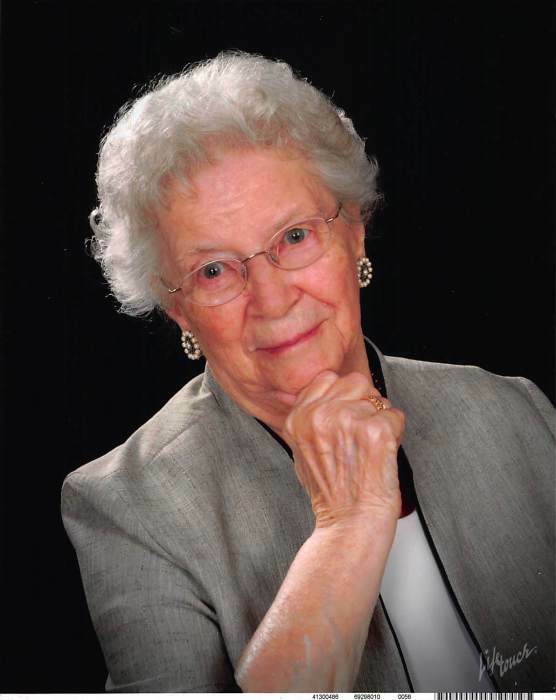 Rosa Bruns 94 of Beecher IL passed away November 12, 2018 at her home. Rosa was born on December 6, 1923 in Beecher, IL the daughter of Henry and Rosa Lohmann. She is survived by her children Ronald (Sharon) Bruns and Veta (David) Thompson and a daughter in law Mary Bruns as well as her sister Lois (John) Wierl. 6 grandchildren, 14 great grandchildren and 5 great-great grandchildren. She is preceded in death by her parents, her husband Arnold whom she married on December 16, 1945 as well as her son Arnold E. Bruns. Rosa was a member of St. John Lutheran Church Ladies Aide and a member of the Womens Missionary League. She also worked at the local restaurant Margie's in Beecher for many years. Burial will be at St, John Lutheran Cemetery in Beecher. Rev. Joel Dietrich will officiate. Visitation will be held Friday November 16, 2018 from noon 1:00 p.m. at St, John Lutheran Church in Beecher. Funeral services will also be conducted Friday November 16, 2018 at St. John Lutheran Church at 1:00 p.m.